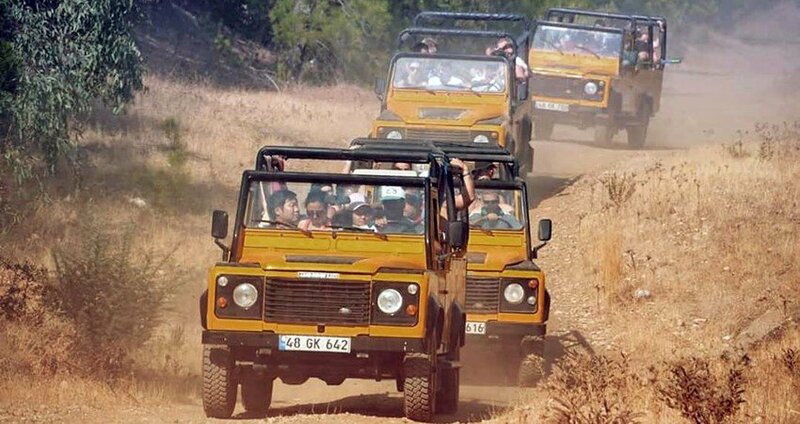 If you’re getting tired of the crowded tourist spots and the usual vacation tours everyone keeps taking year after year, our Marmaris Jeep Safari is just the adventure you’ve been looking for. Take a whole day long pause from the city fuss and have an exciting experience in the gorgeous mountains surrounding Marmaris. Our dynamic and eventful Marmaris Jeep Safari Tour starts with a pick up service from your hotel in Marmaris at 09:30. 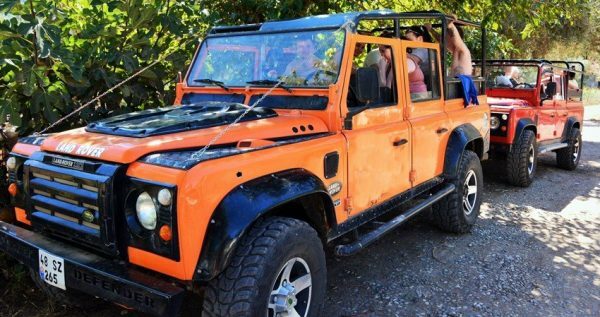 Our jeeps are a four wheel drive, and fully open, so you can have a panoramic view of the nature around you. Jeeps also have safety belts, as your safety is pour primary concern. 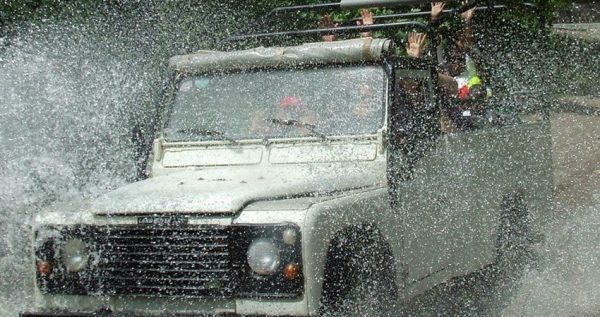 Our jeeps are driven by licensed, professional and most experienced safari drivers. This phenomenal Marmaris Jeep Safari route includes driving on some bumpy and fun dirt tracks, as well as village road asphalt. 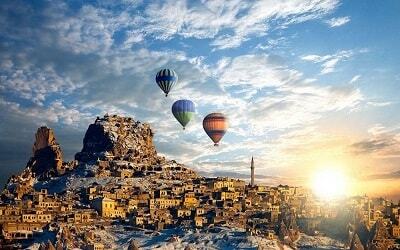 We’ll get to travel through gorgeous narrow valleys, shallow riverbeds and impressive mountain ranges. Our drivers always respect the maximum speed limit, which is 50km/h, so you can relax and enjoy the captivating scenery around you. If you have any questions or concerns, our English-speaking guides will be there to answer them. Our fascinating route through wilderness includes visits to remote places around Marmaris, far away from the awful city hustle. Emerald pine forests, captivating waterfalls, and charming little villages around Marmaris will take your breath away with their simplicity and strength. 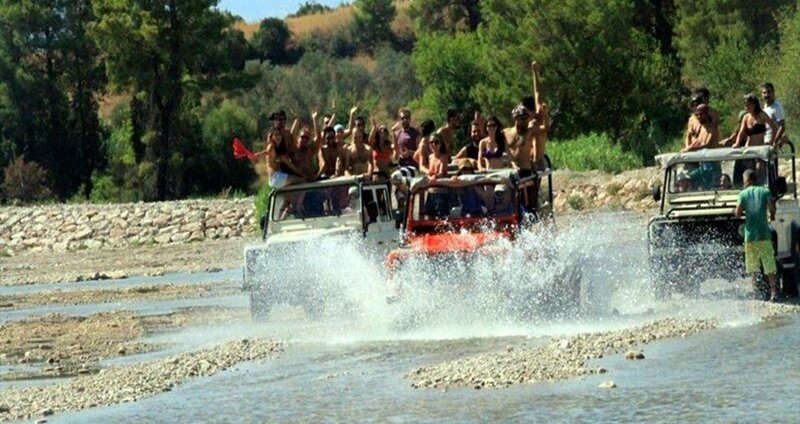 Our awesome Jeep Safari Tour also includes visiting the popular Jesus Beach near Orhaniye village, where you can literally walk on the water as there is a natural formation, a pathway on the sea. 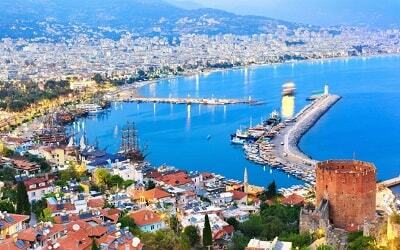 You will also get to take a swim in the turquoise waters of Jesus Beach and taste some delicious, traditional Turkish dishes at a nearby local restaurant. 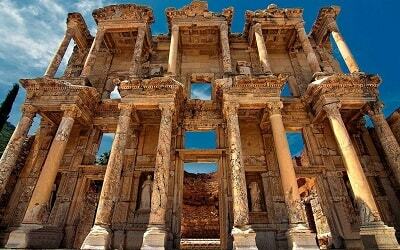 Once our tour ends we will head back to Marmaris, and take you back to your hotel at approximately 16:00 to unwind and relax. This relaxing cross-country adventure will make you forget all about the every-day city commotion and do something exciting. 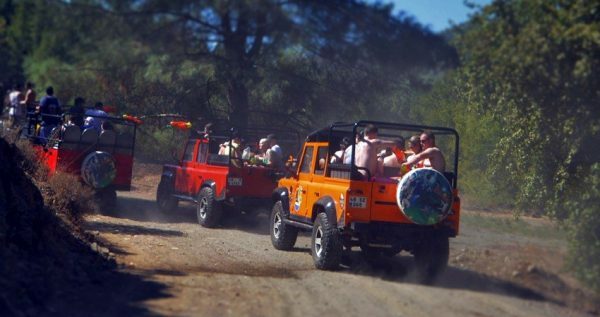 Reserve your spot on this lovely tour now and have a memorable adventure of your own. Marmaris Horse Safari can be another adventurous day out for you. 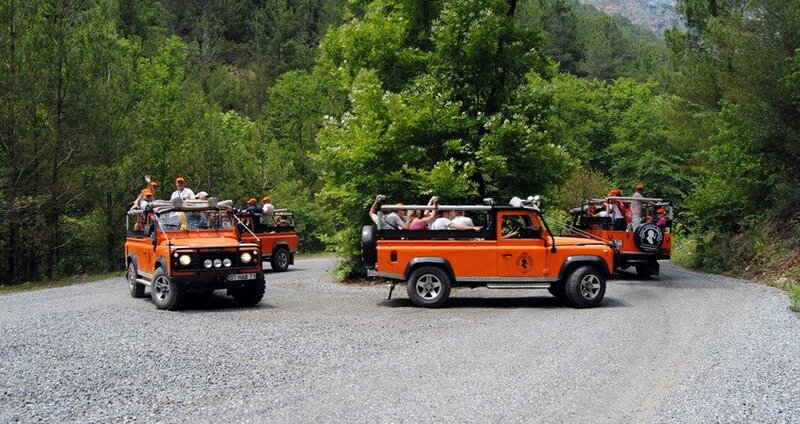 Marmaris Jeep Safari starts once our driver picks you up for a cozy ride in one of our spacious jeeps, and takes you for a drive to our meeting point up in the mountain area overlooking the town. There we will regroup and start with our adventure. After a 15-minute drive we will arrive to a small field in the out skirts of the mountains, where you will be able to rent water guns. After one our long drive through the amazing nature, we will arrive to the secluded serene spot where we will take a break. Equipped with showers, cafeteria and toilets, this spot is perfect for us to freshen up and rest a bit. On the out skirts of a charming local village, we will get to take a picture-break and visit the waterfall. You will get to take some incredible camera shots, and you will be able to take a dip in the water as well. If you decide to take a swim we should warn you that the water here is very cold, even in midsummer. After a few hours of driving and having fun, we will have a lunch break. Drinks are also available, but they are not included in the tour price. During our adventurous escapade, we will visit the amazing Jesus Beach. This beach is famous for a unique natural phenomenon. One long sand wall is dividing the gulf in two, forming a path directly through the deep turquoise water. We will spend an hour on this beautiful beach, so you will get to enjoy all its charms. 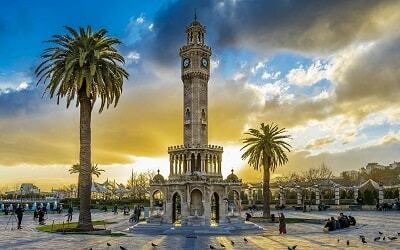 Once our adventure is over, we will drive you back to your hotel in Marmaris at approximately 16.00 in the afternoon. There are no age restrictions concerning this tour, so you ay enjoy it as a family affair as well. 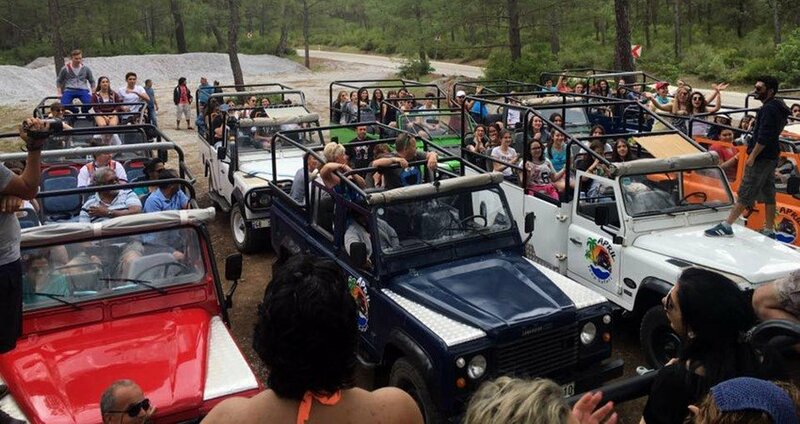 Marmaris jeep safari was the best tour, we have been on during our holiday. Our driver jimmy made our day he was very friendly with the kids. 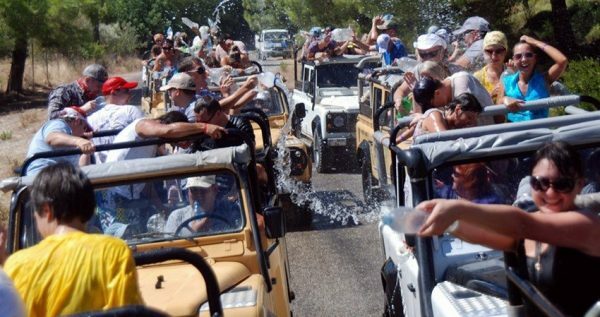 if you like water fights, then you must go on this tour. I will be definitely doing this tour again totally worth the money.